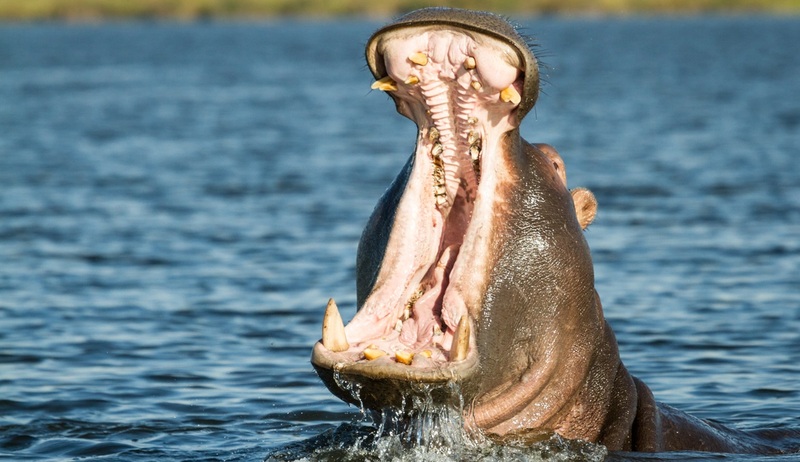 The best of Botswana takes you through all the best of Northern Botswana’s wildlife destinations and offers an all-encompassing Botswana safari. 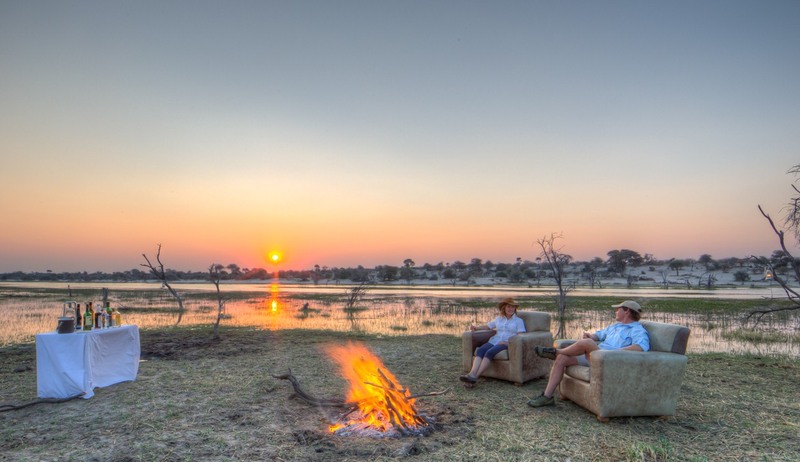 Visits to vastly different ecosystems and environments expands the knowledge of the traveller and affords unrivalled opportunities and exposure to many species of wildlife and completely different experiences, resulting in an authentic and complete Botswana safari that makes memories to last a lifetime. 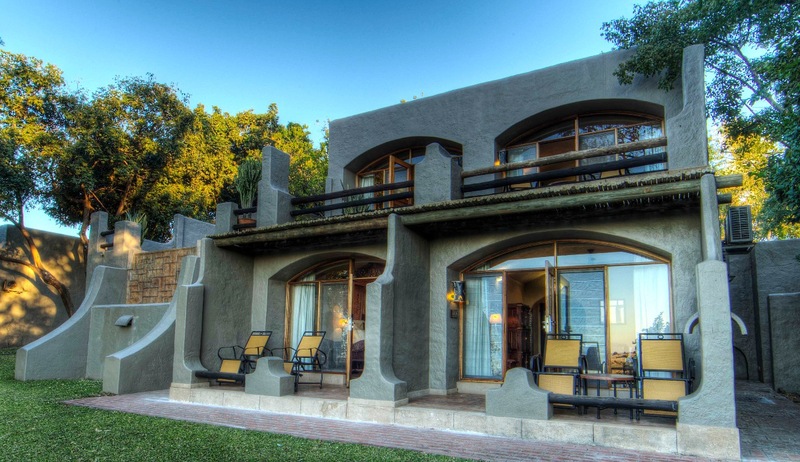 **Please note, prices are based on 2 people sharing and single supplements apply. 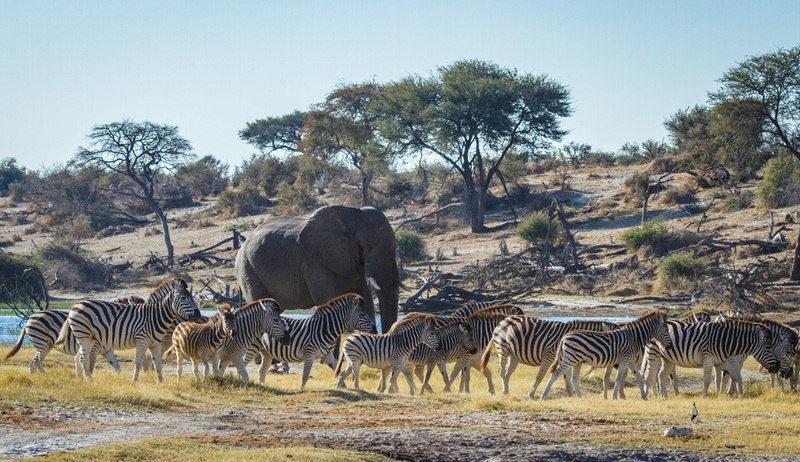 Arrival in Maun to meet charter flight to Leroo La Tau airstrip, then short road transfer to the Leroo La Tau lodge, on the western bank of the Boteti River, where you will be staying for 2 nights on an all-inclusive basis. 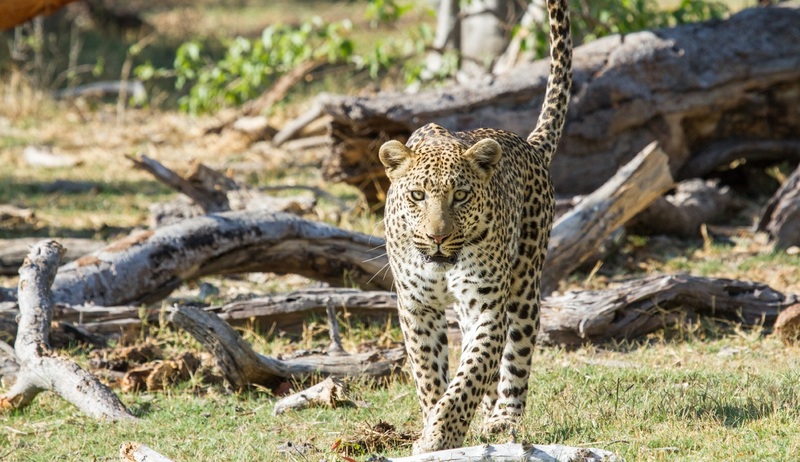 Translated as ‘foot print of the lion’, Leroo La Tau and it’s surrounds features abundant wildlife including lion, brown and spotted hyena, jackal, caracal, porcupine as well as good populations of general game species such as zebra, wildebeest, giraffe, kudu and impala. 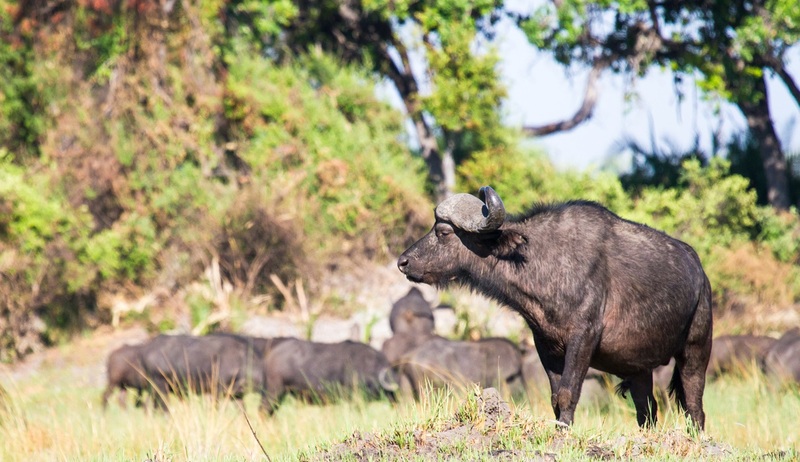 The Boteti River plays a vital role in the annual zebra migration making Leroo La Tau the ideal place from which to witness Africa’s second largest migration of zebra and wildebeest. 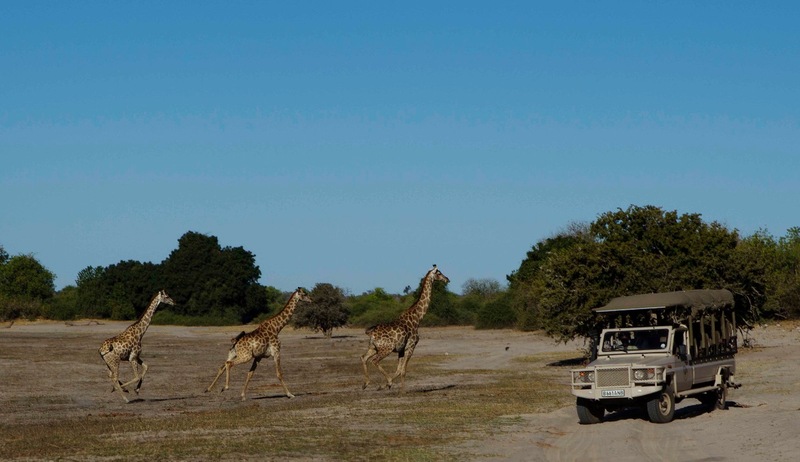 During your time here you can enjoy morning and afternoon game drives conducted in the Makgadikgadi Pans National Park as well as optional night drives within the Leroo La Tau private concession. 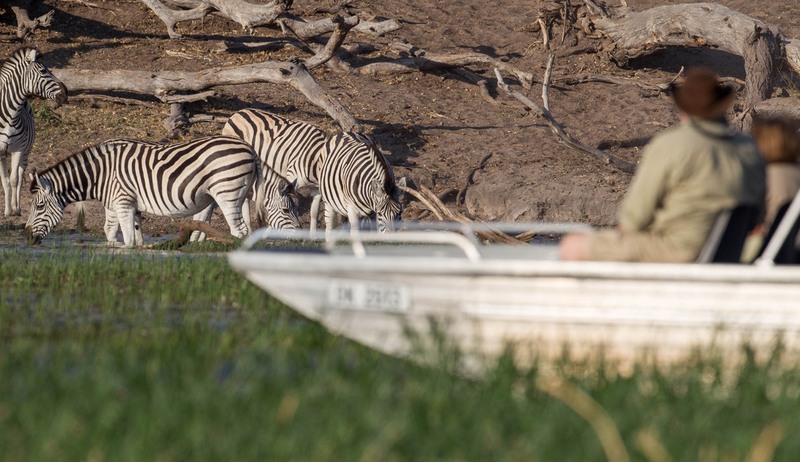 Depending on water levels, boating safaris may be offered on the Boteti River and for guests interested in cultural interactions and experiencing daily life in a Botswana community, excursions to the nearby Khumaga Village can be arranged. 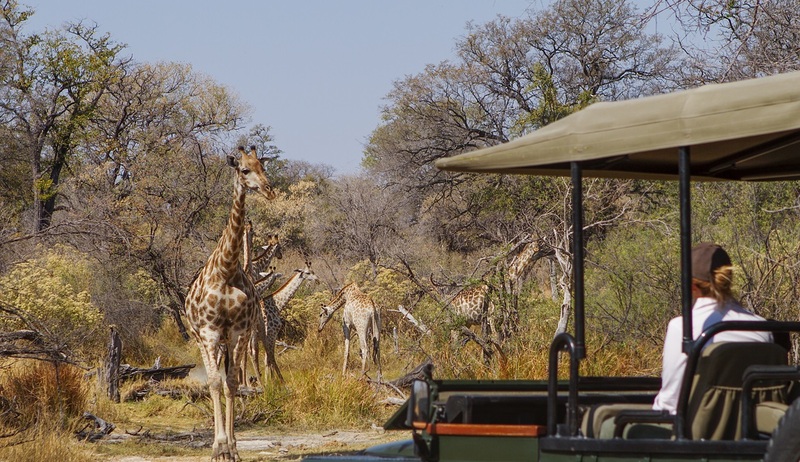 Scenic Helicopter flights over the Makgadigadi National Park and Nxai Pan Day Trips can also be arranged for an additional cost. 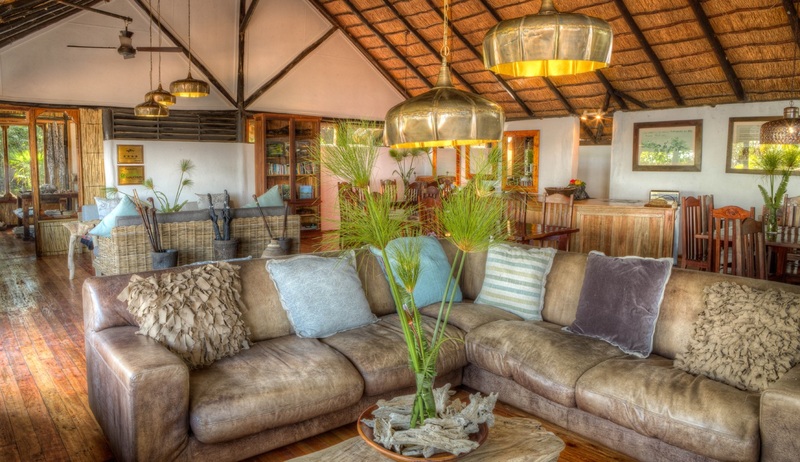 Delicious meals will be served throughout the day and there will be time to relax and simply soak up the lodge's beautiful surroundings from the comfort of your luxury thatched chalet. 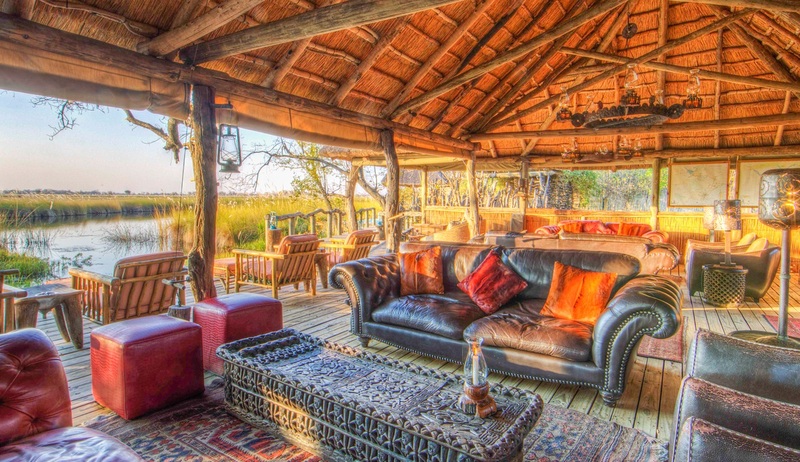 In the morning of day 3 we will take a short charter flight to the heart of the Moremi Game Reserve and Camp Xakanaxa where you will be staying for 2 nights on an all-inclusive basis. 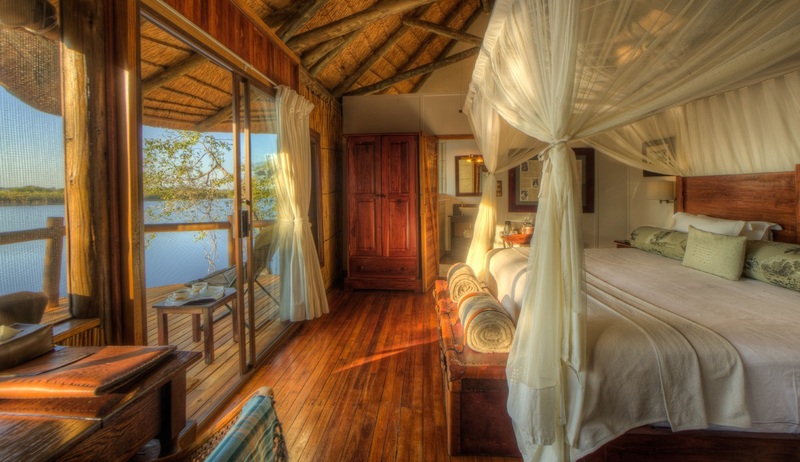 On the morning of day 5 we will take a short charter flight into the heart of the Okavango and Xugana Island Lodge where you will be staying for 2 nights on an all-inclusive basis. 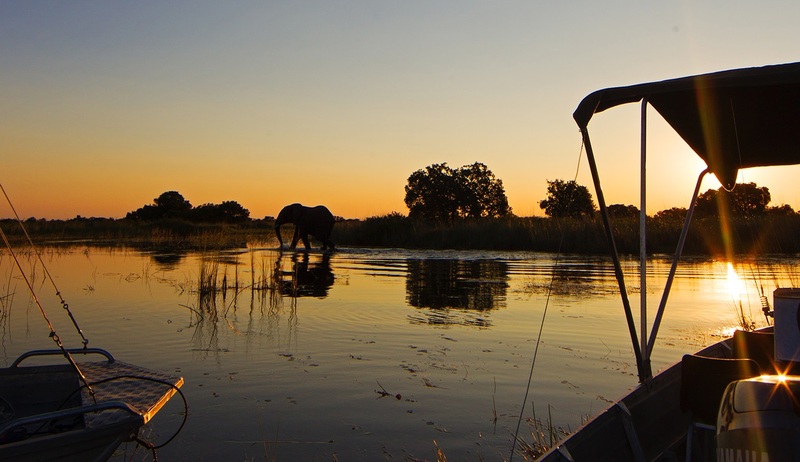 Xugana Lagoon, beside which Xugana Island Lodge is located, is widely recognised as the most spectacular permanent water site in the entire Okavango Delta, which itself is Africa’s largest and most awe-inspiring oasis. 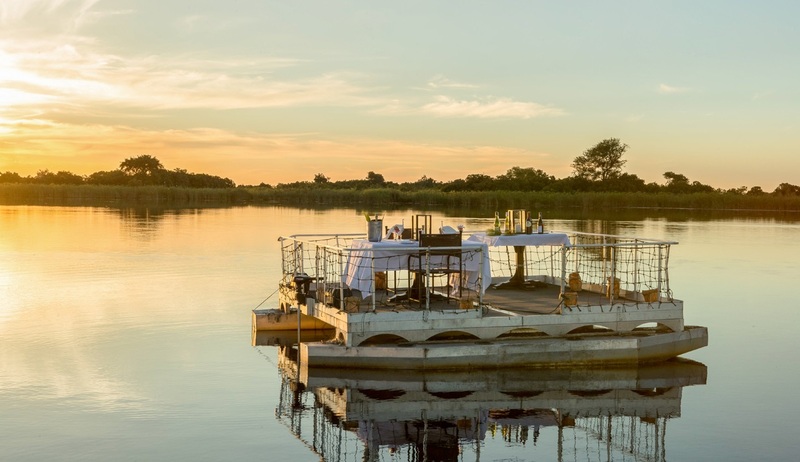 Owing to its remote delta location, Xugana Island Lodge is a year round water paradise offering guests the chance to experience the beauty of the Okavango Delta with its myriad of deep waterways, open floodplains and diverse wildlife inhabitants. 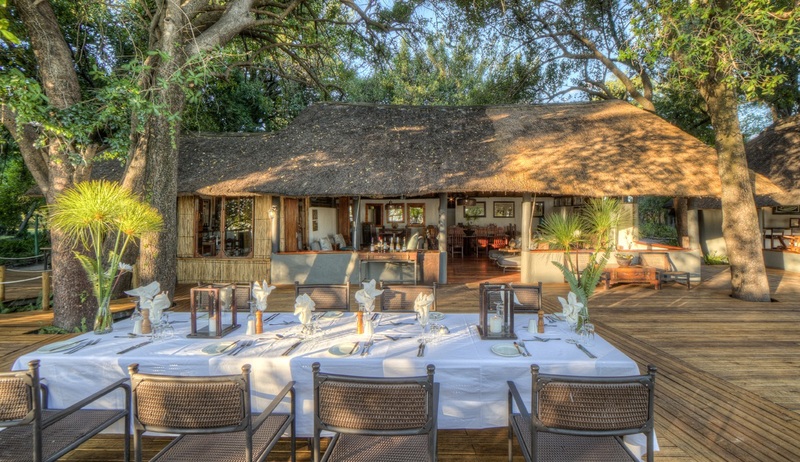 A wide range of activities are offered here throughout the day including motorised boat safaris, through the deep channels and lagoons of the Okavango Delta, guided mokoro excursions in traditional dug out canoes, guided bush walks and game drives in open 4WD vehicles to explore the varied ecosystems on the islands within the private concession. 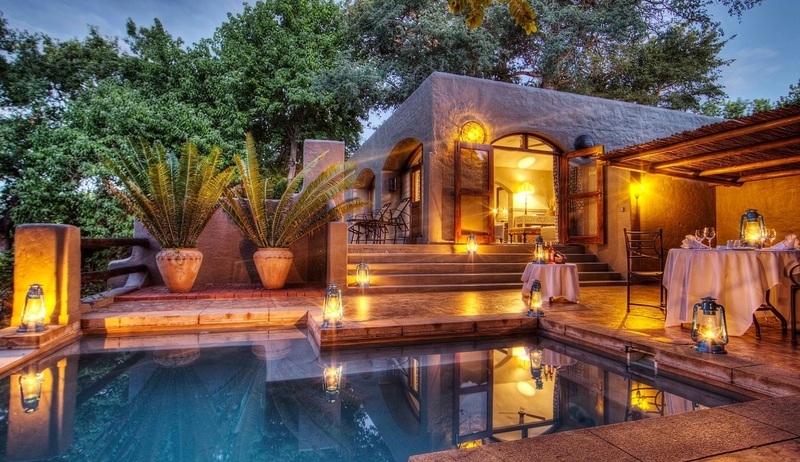 Optional night drives are also available. 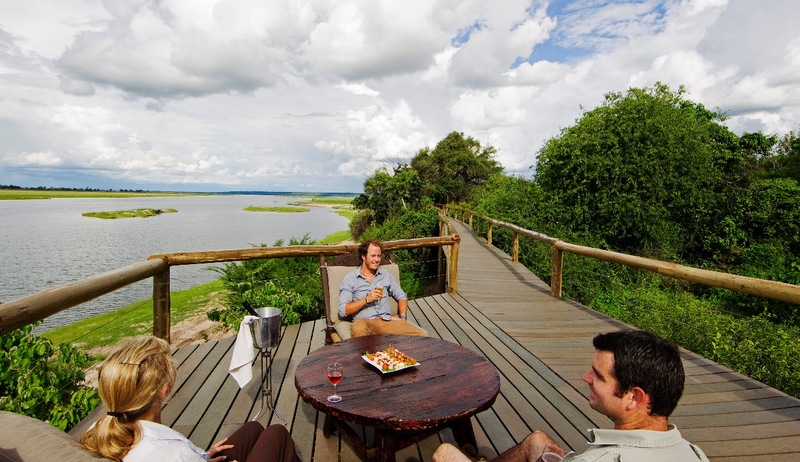 Optional fishing excursions are also available and birdwatching here is absolutely spectacular. 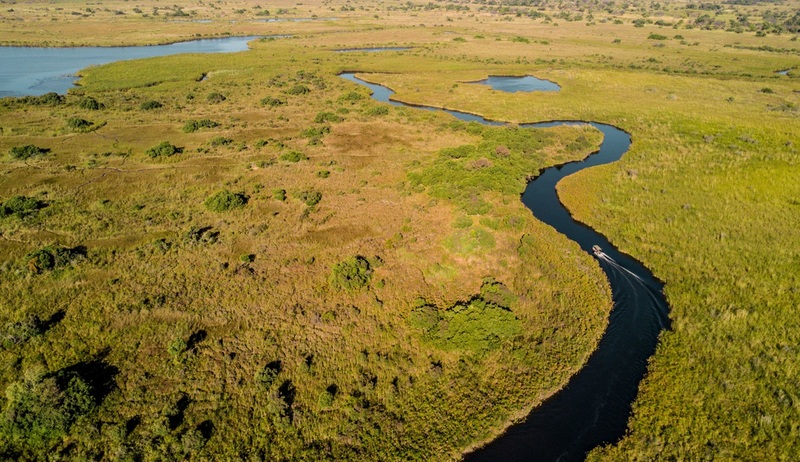 Scenic helicopter flights over the Okavango Delta are also available at an additional charge. 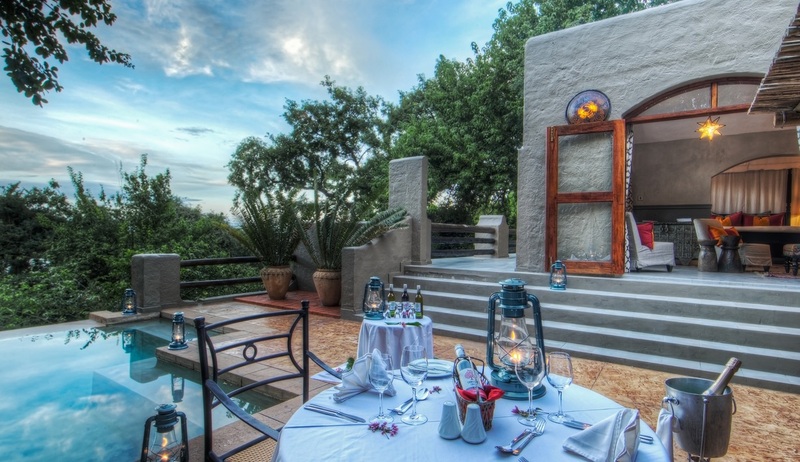 After a long day of exploring return to the comfort of this delightful lodge for dinner before enjoying a great night's sleep in your beautiful lagoon-facing chalet. 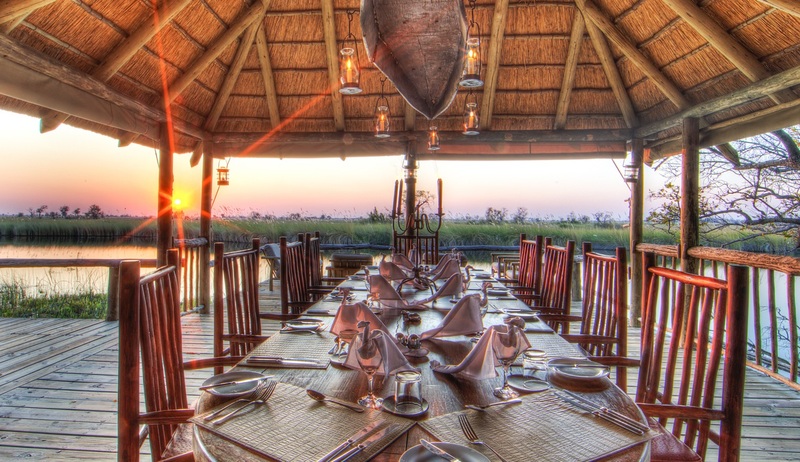 On the morning of day 7 we will take a charter flight across Northern Botswana to the Chobe National Park and Chobe Game Lodge where you will spend your final 2 nights on an all-inclusive basis. 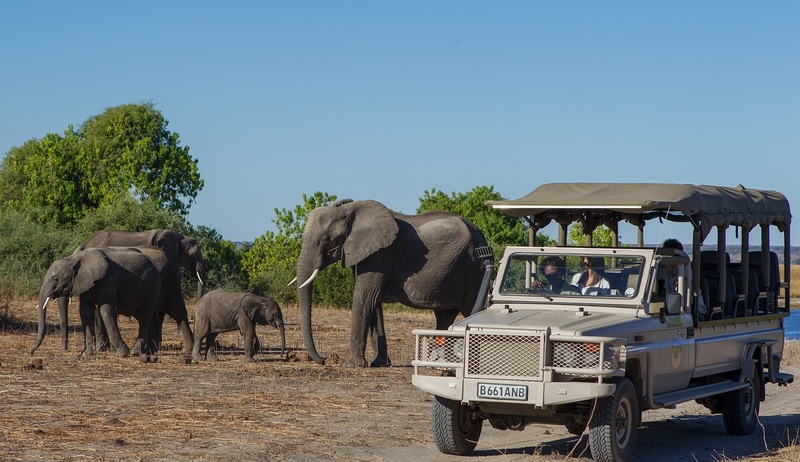 A typical day here will involve an early start and a light snack before joining an early morning guided game drive through Chobe National Park in search of an abundance of wildlife including elephants, lions and giraffes. 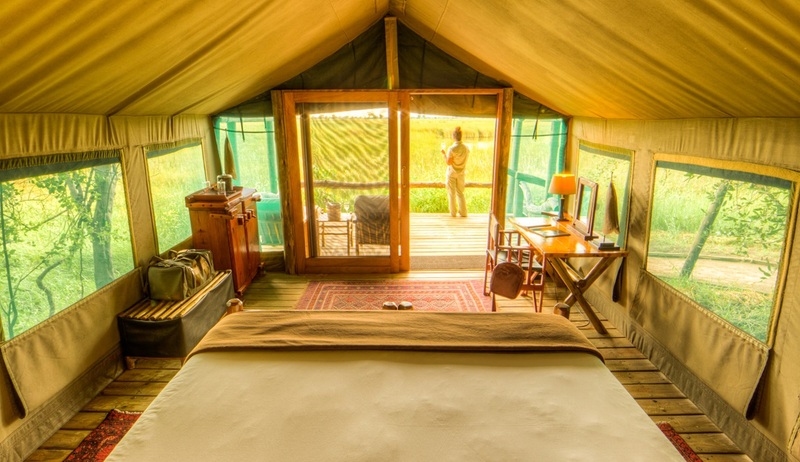 Today signals the end of your Botswana safari adventure. 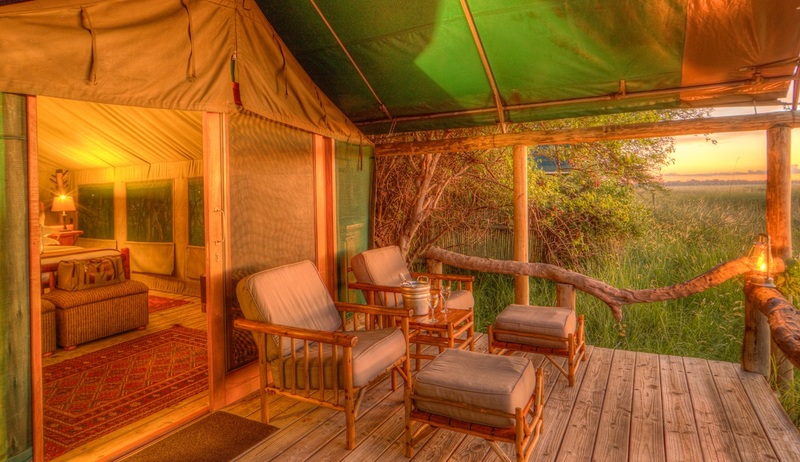 After breakfast at the camp you will transfer to Kasane airport for your flights home or onward travel. 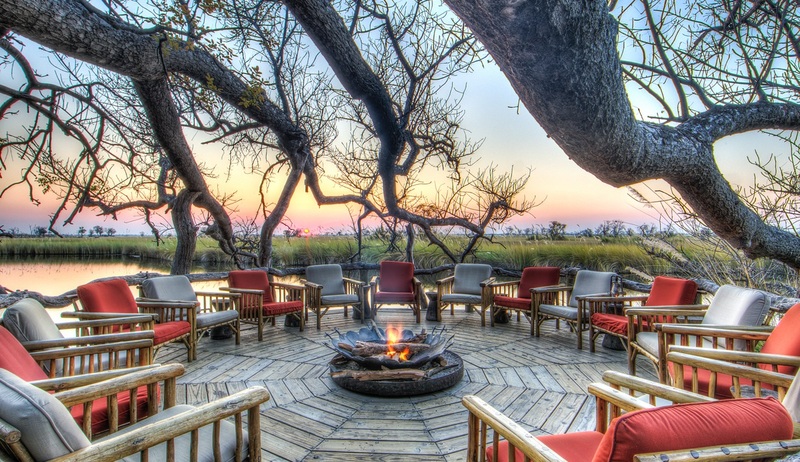 Located on the western bank of the Boteti River, northwest of Khumaga Village and about 140 kilometres southeast of Maun, this beautiful safari lodge borders the Makgadikgadi Pans National Park and is an ideal base for exploring all that this wonderful region has to offer. 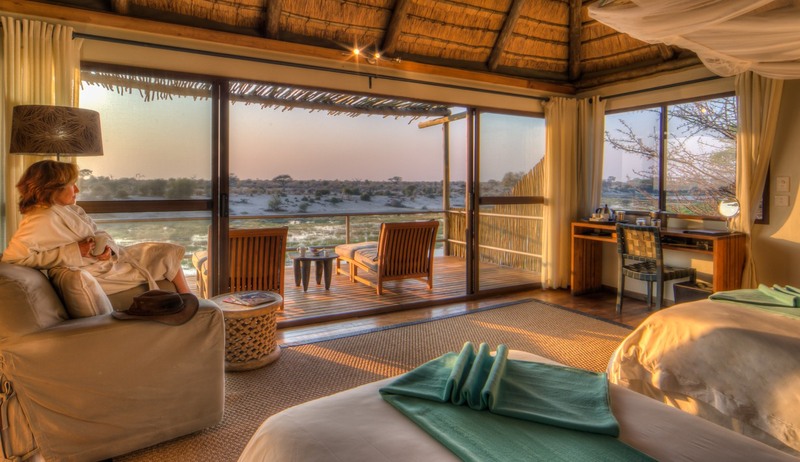 Accommodation is provided in 12 luxurious thatched and glass-fronted suites which have been raised on a wooden platform so as to maximise the spectacular views on offer. 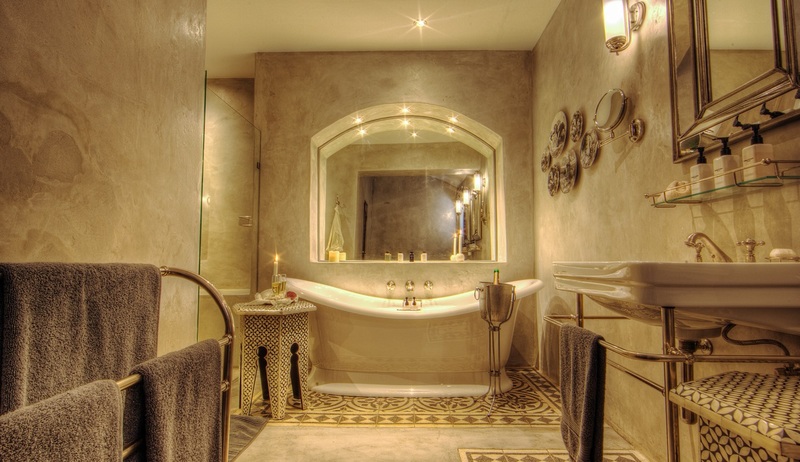 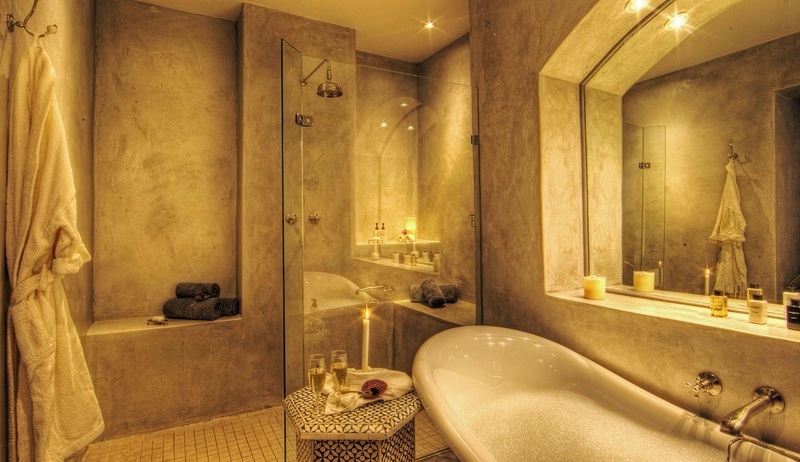 Each suite has an en-suite bathroom, large comfortable bed and private terrace. 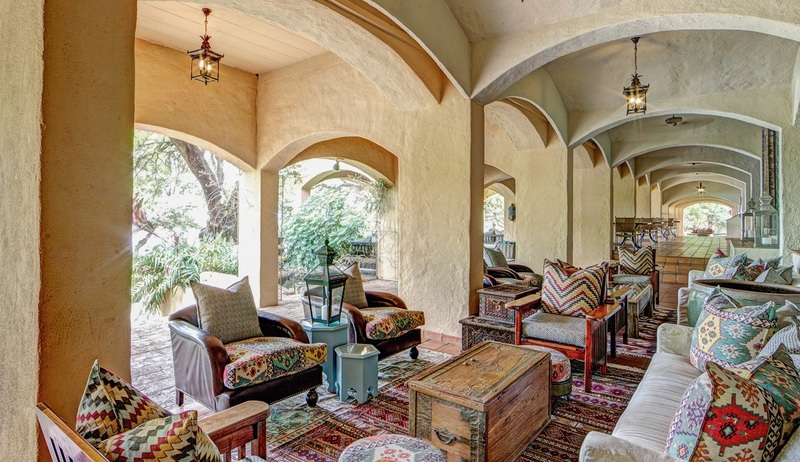 The main lodge area has a relaxing lounge and dining area including a bar where you can sip a drink on a warm African evening and listen to the wide variety of night sounds that abound coming from the bush outside. 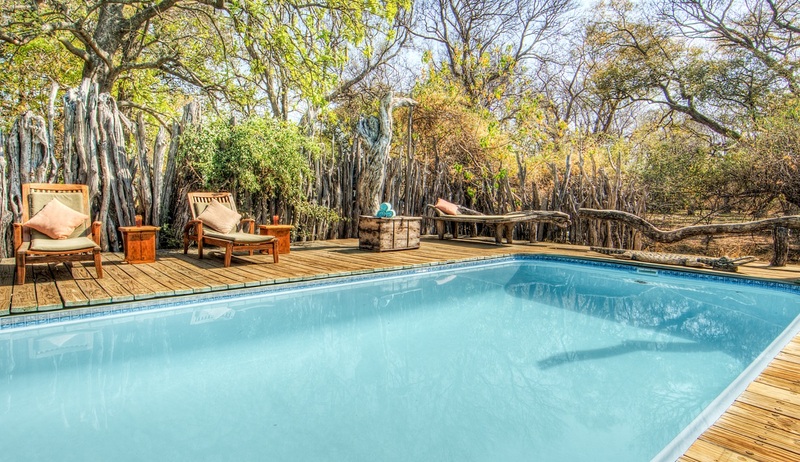 There is also a refreshing swimming pool and a game viewing hide built in to the bank of the river which offers spectacular panoramic views. 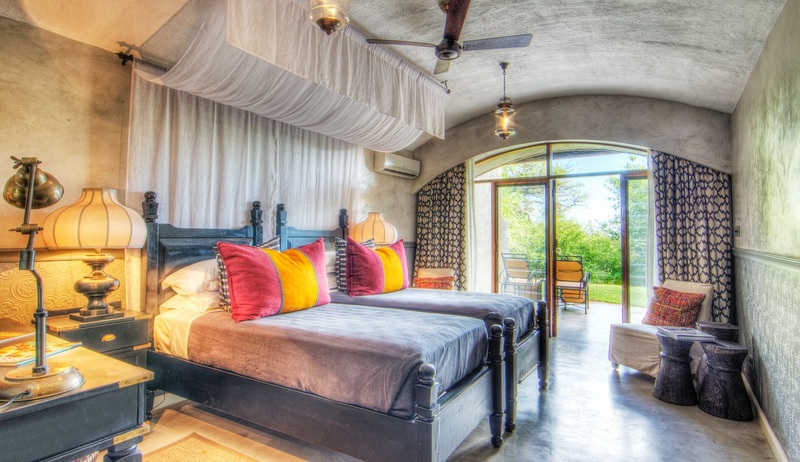 Leroo La Tau (which translates as "lion's paw") is located in the perfect area for viewing an abundance of wildlife - including lion, zebra, wildebeest, cheetah, leopard, hyena and many more wonderful species - and day time and night time game drives are offered throughout your stay. 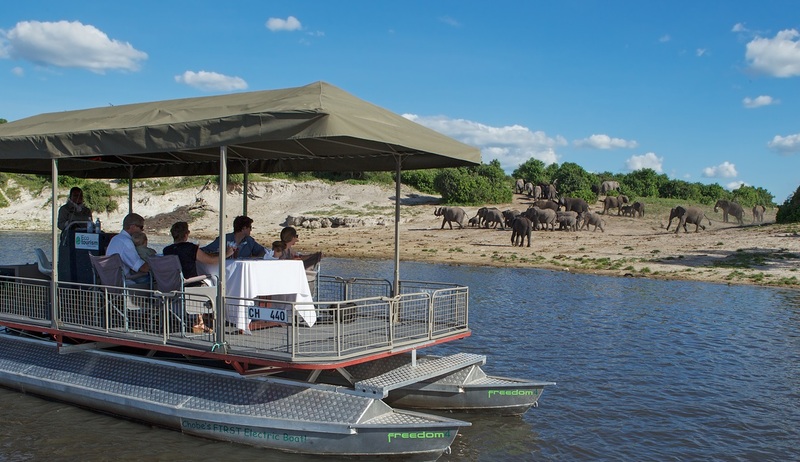 Depending on the water level there may also be water based activities available including boat rides along the river. 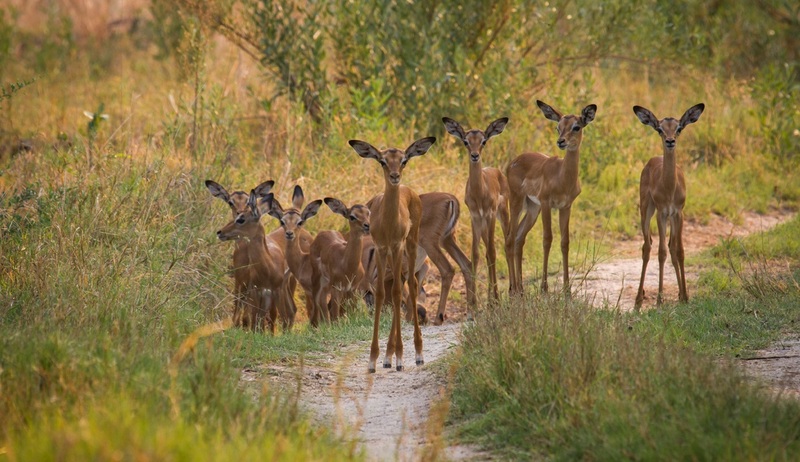 Optional cultural excursions can be arranged to Khumaga Village, as can guided nature walks in the area surrounding the lodge. 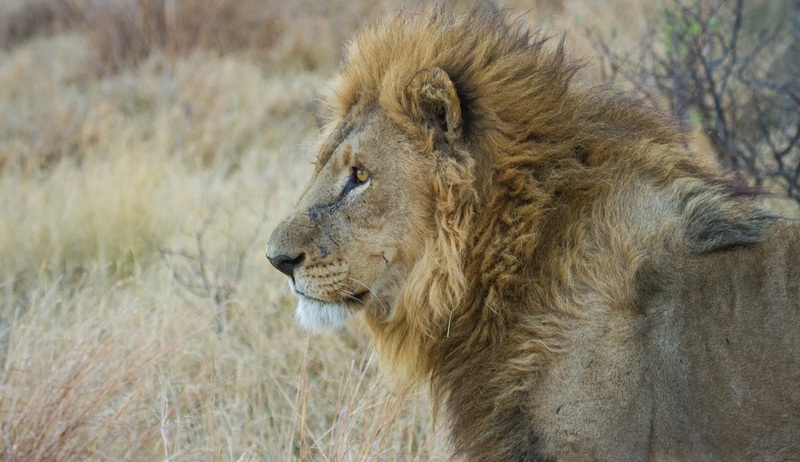 Please note: Owing to their remote location within the Makgadikgadi Pans National Park, the Makgadikgadi Pans themselves are not visited on daily scheduled activities from Leroo La Tau. 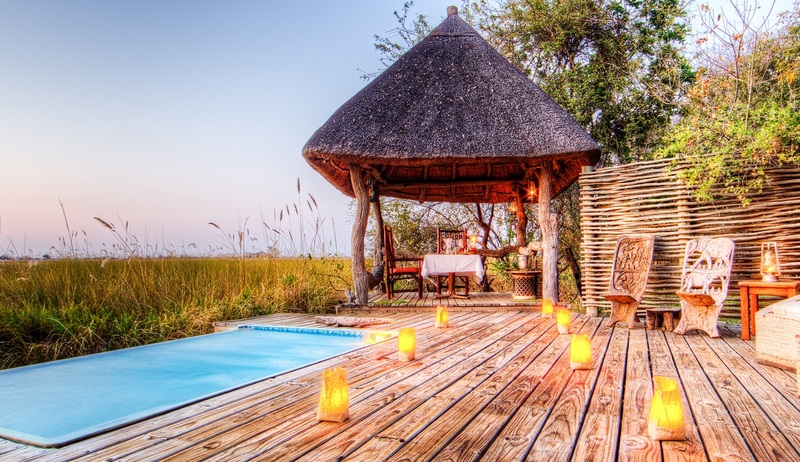 Situated on a private concession in the Okavango Delta, Africa's largest and most awe-inspiring oasis, Xugana Island Lodge is a beautiful water based lodge perfect for a relaxing retreat. 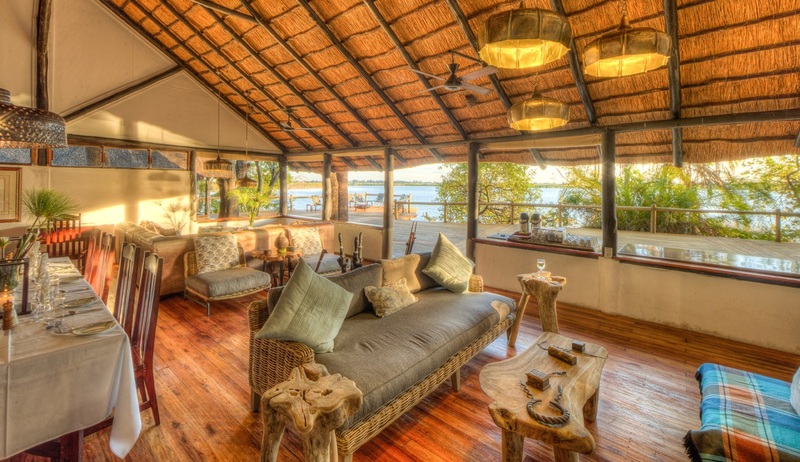 Xugana Island Lodge is located by Xugana Lagoon, an area widely recognised as the most spectacular permanent water site in the Okavango Delta, and provides excellent accommodation in an intimate and luxurious setting. 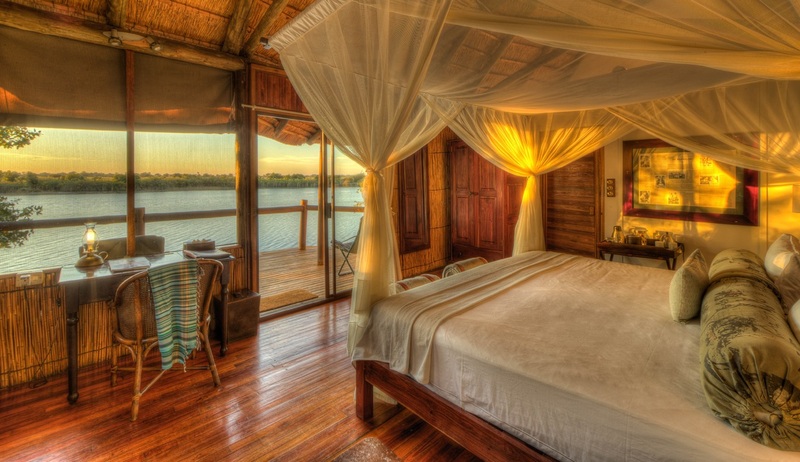 The lodge has eight large chalets which face the lagoon and have been raised to emphasise the stunning views on offer. 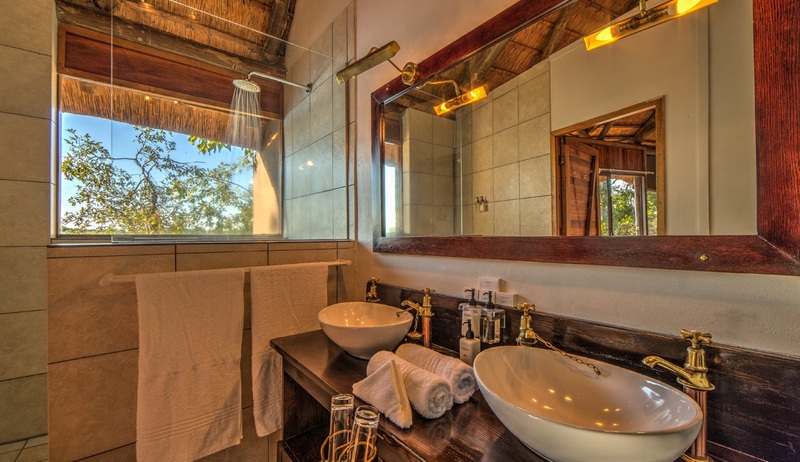 Each chalet has an en-suite bathroom, elegant furnishings and a private viewing deck. 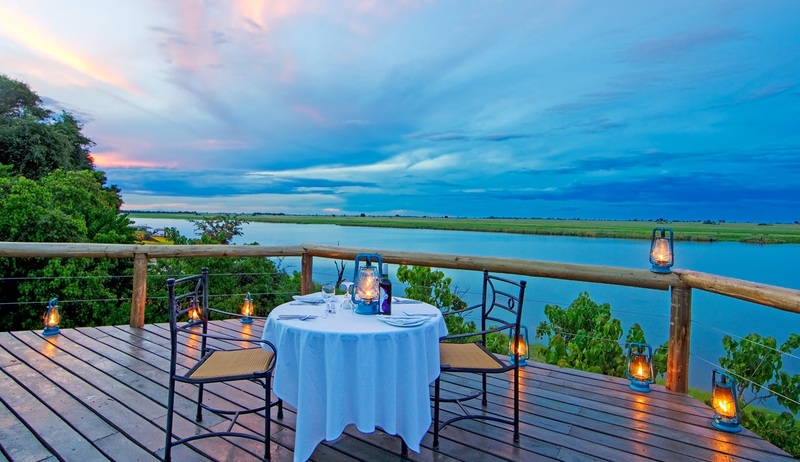 The main area of the lodge itself takes full advantage of the beautiful view points and includes an expansive deck with al fresco dining area which overlooks the vast, pristine waters of the Okavango Delta. 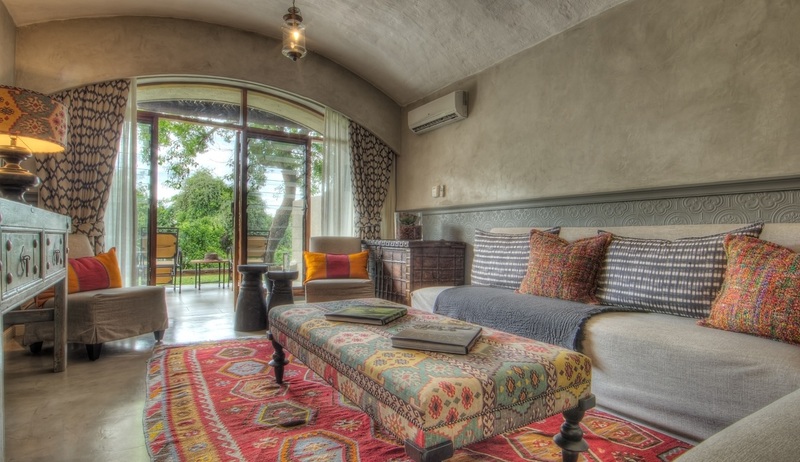 There is a comfortable and welcoming lounge, bar and dining area set under a beautiful Ebony and African Mangosteen tree canopy and there is a stunning swimming pool set within mature gardens in the centre of the island. 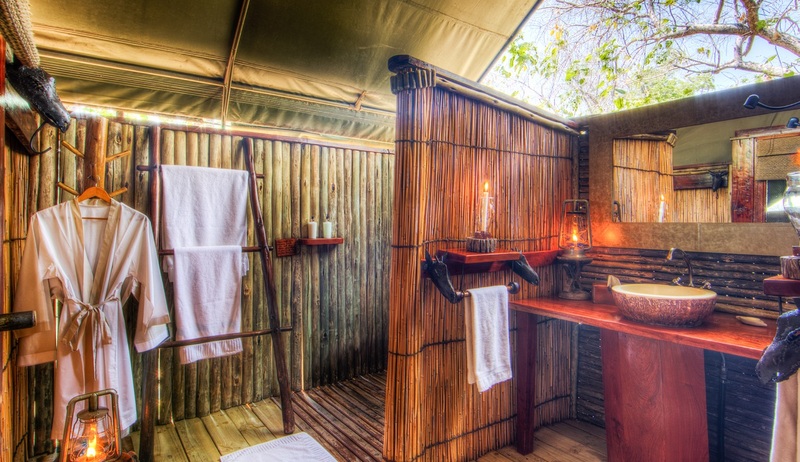 As Xugana Island Lodge is a water-based camp there are no game drive activities available here, however there is an abundance of water-based activities that guests can partake in. 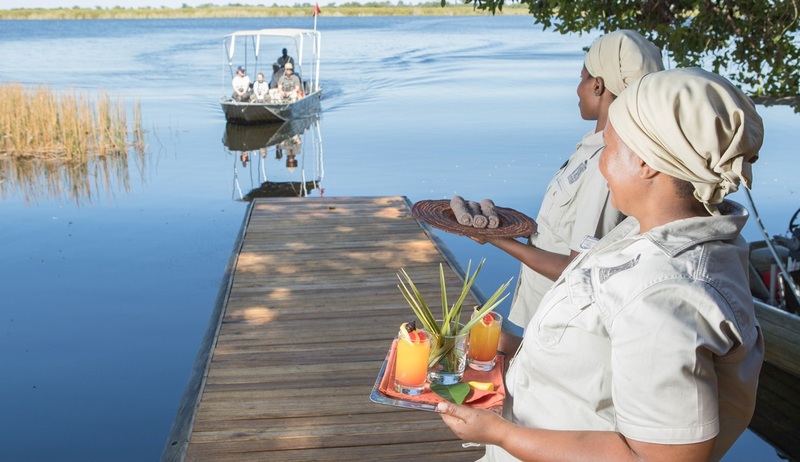 A stay at Xugana Island Lodge gives you the chance to experience a true Okavango Delta safari experience - exploring the crystal-clear waterways by mokoro (traditional dugout canoe) or motorboat, and enjoying the magnificent variety of bird, plant and reptile species found in the area. 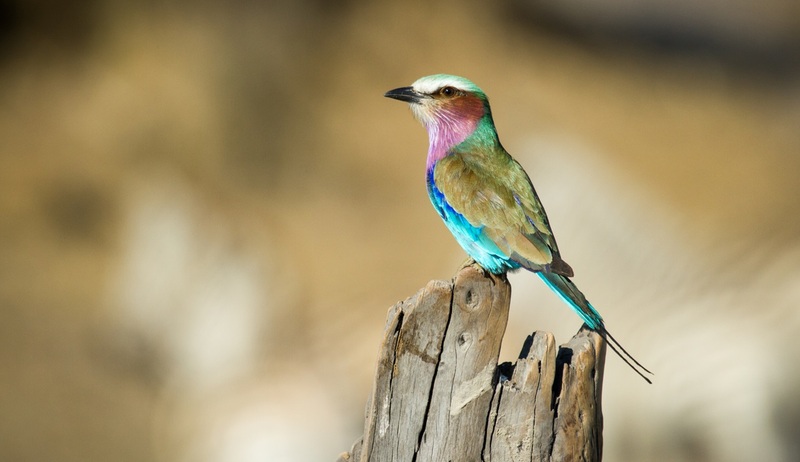 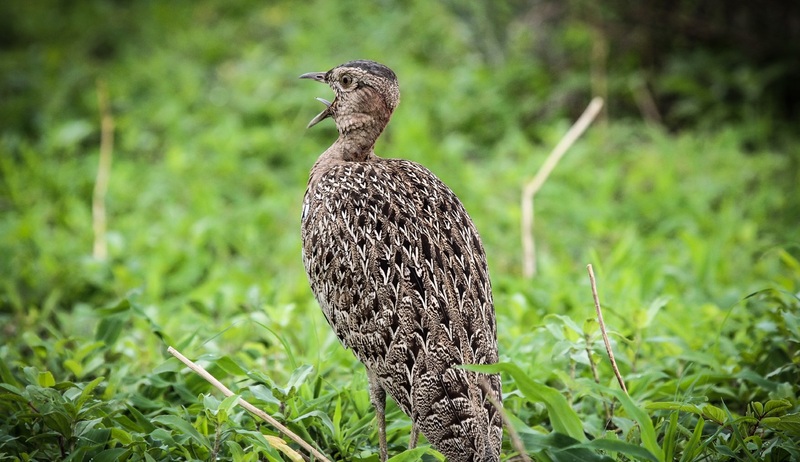 Birding here is spectacular and guided nature walks are also available, allowing you to experience nature up close and personal. 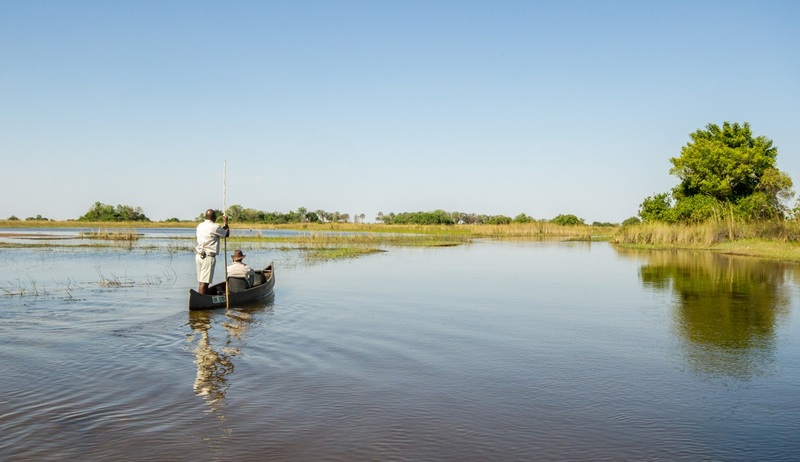 Fishing activities are also offered at the lodge.